Thank you for a successful and fun 9th annual fundraiser! 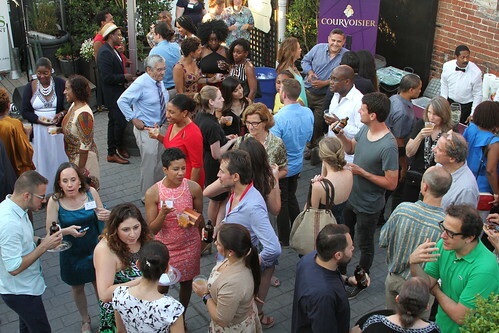 Thank you so much to all who came out to support us at our 9th Annual DC Fundraiser: Back to Our Roots! We are grateful for your support. This year’s event was one of our most fun and most successful events yet. 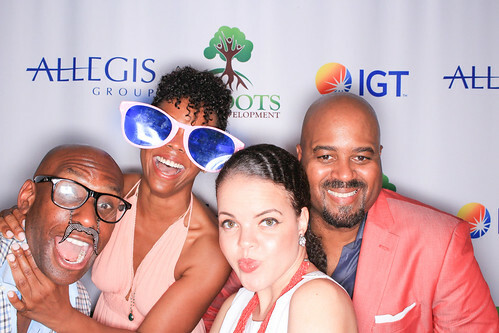 That is thanks to you and to our incredible sponsors Allegis Group and IGT. Click right and left to scroll through photos from the event. Click right and left to see fun photos from the photo booth. We also want to thank our various event partners that helped us keep expenses down and the event a unique one: Telemundo (financial contribution), Boulder Shares (matching contribution), Suite Four (champagne), Galerie Monnin (artwork), Courvoisier (cocktails), Urban Petals (flowers), Station 4 Restaurant (wine), DMV Haitians and L’Union Suite (press), Cole Hogan and Gerard Kerby Boulin (photography), and the Hyatt Regency Washington (hotel). We have lots of great art left over from the event. If you are interested in any of the metal art or paintings that were on display at the event, do not hesitate to reach out to us. Write us at info@rootsofdevelopment.org or call us at (202) 466-0805. In fact, if you are interested in getting involved in next year’s event, either as a partner, sponsor, or as a member of the planning committee, do not hesitate to reach out to us. ← APDAG reaches another significant milestone!